There are buses from NYC’s Port Authority to the city of Falmouth, MA offered by Greyhound for approximately $60 one way. From Boston’s South Station to Falmouth, Peter Pan offers tickets for about $30. Locally, rideshare services like Uber and Lyft are available and most of our attendees will have cars–you’ll have lots of rides to chose from. 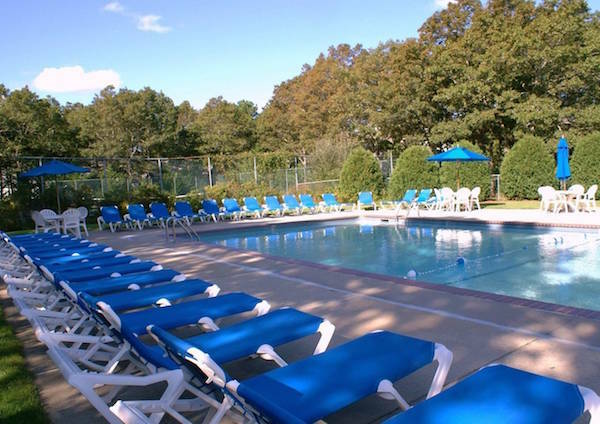 Our official host hotel is Sea Mist Resort in Mashpee, MA (11 minutes away from Falmouth Country Club). It’s a family-friendly, timeshare complex with 20 wooded acres, two swimming pools, an oversized Jacuzzi, tennis courts, miniature golf and more. Every unit is an apartment with a full kitchen, cooking utensils, a DVD player, a pull-out sofa and enough space that you can easily bunk with several others. For larger groups, Sea Mist offers 2-floor townhouses with a full bathroom on each floor. Fold-out cots are available from the front desk. When booking, be sure to mention”Morrison Golf Classic” for the best rates and to be placed in a building with other Morrison Golf Classic attendees. Rates: ~$200 – $350 per night. Please call John at 508-477-0549 for booking. P.S. The Morrison Golf Classic after party is held at Sea Mist Resort in building #4. There are numerous hotels in Hyannis, MA which is about 30 minutes away from the Classic.